2600 / 7800 CX24 Joystick Owners! Of all of the Joysticks Atari ever made over the years they were in business, our two least favorite Atari controllers were the 7800 CX24 Slim line Deluxe Joystick (sometimes called the Atari Proline Joystick) and the ill fated Atari Space Age Joystick, which had an internal flex circuit problem from the start and caused it to be dropped by Atari very fast. 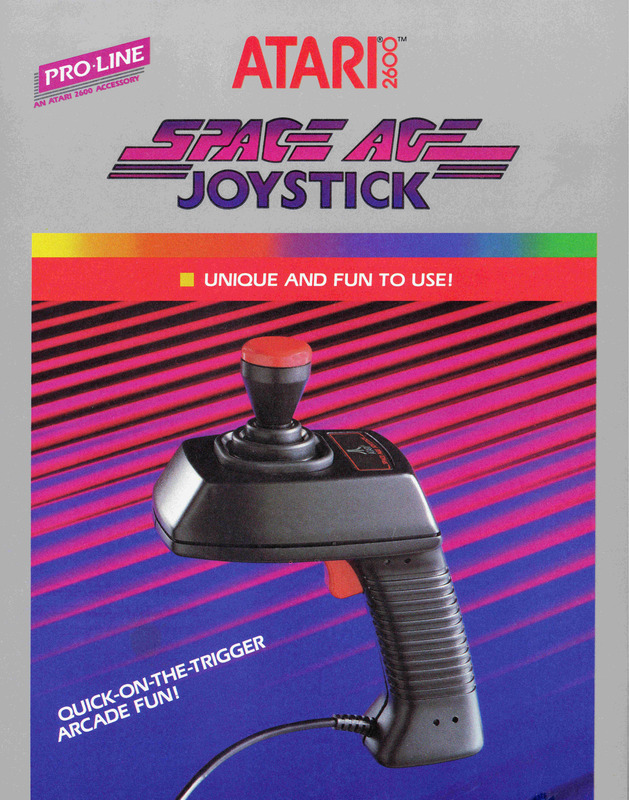 Now Atari Space Age Joysticks are a very rare Atari collector item. The main reason why the Atari CX24 duel fire button Joystick was not one of our favorite Atari controllers made, was the left, right fire button PCB’s and Main X / Y PCB would fail very fast. 1st the left and right fire buttons PCBs would fail and second the main X / Y PCB would fail next with any kind of normal use. You think this next generation (after the original Atari CX40 Joystick was designed) Atari Joystick would have been better designed and all of the problems Atari had with the CX40 Joysticks, would have been fixed on the newer generation dual fire button 7800 Atari CX24 Joystick design. But the basic fault again like the original Atari CX40 Joystick was the same PCB technology was used to design the internal CX24 PCB board and the small three leg dome contacts which seem to have a higher failure rate than the many different styles and shapes of dome contacts used on the earlier CX40 Joystick PCB’s. Basically the Atari CX24 Joystick was 1st shipped with the Atari CX7800 consoles and toward the end sold as a separate Atari Joystick (left hand picture). So the second generation Atari made CX24 Joystick design did not go thru the many many changes and attempts by Atari Engineering to correct its known problems, that they did do on the earlier Atari made CX40 Joystick over its 20 to 25 year life cycle of all of the Atari 2600, 2600A and 2600JR consoles (supplied with CX40 Joysticks) made. Best Electronics is the only company in the world to fix the original Atari CX24 Joystick internal design problems with 2015 technology and turn the guaranteed to fail Atari stock CX24 Joystick into the a Gold lifetime joystick (like we did on the Atari CX40 Gold lifetime Joystick) and give it a brand new lease on life. Now all Atari users can reach into the old box of non working Atari Joysticks, pull out the old non working CX24 Joystick and turn it into another Best upgraded Atari lifetime Gold controller. users would apply more and more pressure on the orange fire button which would cause the 3 leg dome contacts to fail early. Best describes the Atari CX24 Joystick upgraded with Bests lifetime all Gold board set as a left or right handed type of Atari Joystick with very wide surface area comfortable fire buttons and mushroom control handle that has a very short throw / precision travel range with fast action. left and right Independent fire button functions for different 7800 games to properly play those games. On Atari 2600 Joystick games the Atari CX24 Joystick or Atari CX78 Joypad duel fire buttons will act as a single fire button function like on the original Atari CX40 Joystick. cover (3) was glued over each of the 3 folded over ears to add extra glue bonding surface to hold down the original 3 folded over clear ears to the back side of the X /Y PCB board. 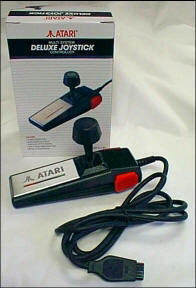 Will of L. of FL Will contacted Best because he had an old Atari 7800 CX24 Slim line Joystick that was not working well. He read all of the information on Best's CX24 New Gold Lifetime board set (that uses the same Gold Dome contract technology, used on the very popular Best Lifetime CX40 Joystick Gold internal PCB boards) and wanted to order them. Although Will only had one old Atari CX24 Joystick to rebuild, he went ahead ordered two sets (our Min. order for the New CX24 Gold Lifetime upgrade boards) of them. "I don't know how I received it so quickly but I actually found it in my mailbox after work. I threw the new parts in my stick and it's so crisp. A 7800 stick in good working order is surprisingly good. Thank you for engineering and carrying replacement parts for such a niche product and the rapid product delivery! Mark me down as very satisfied, when I have the budget I'll be ordering 2600 stick parts for sure!" Mark H. of DE. Mark just ordered one of Best's 7800 CX24 Reconditioned / Upgraded with Best's new CX24 Gold Lifetime internal board set, to replace a stock always going bad Atari CX24 Joystick. In 2016 Mark ordered one of Best Reconditioned / Upgraded Gold Lifetime CX52 5200 Joysticks. "Best Electronics does it again! I received my CX-24 controller today and I have to confess I never liked playing my 7800 because the controllers I had were so bad. (I never knew any better) Today I found out how good it should be, this controller is amazing. Can not say enough positive things about Best products and service. My 5200 Best controller still rocks having had it since 3/16." Danny V. of FL Dan purchased one reconditioned Atari CX24 Joystick Upgraded with Bests New 2016 CX24 Lifetime Gold board set. "I absolutely love the CX-24 Gold upgrade joystick! The CX-24 is actually a pleasure to use now! I will be buying an additional CX-24 soon. Stephen W. of WA Stephen ordered one of Bests reconditioned CX24 Joysticks upgraded with Bests CX24 Gold lifetime PCB sets. "I received the joystick today, thanks for the fast shipping! It's so much better than the original." games, new Atari 7800 Translucent Dust cover and the Best Rev. 10 all Atari Catalog. "I placed an order on Friday, and I received it Monday. I cannot believe how quick the turn around was. The BEST CX24 joystick is amazing! I will have to replace the other one now. Everything I ordered came just as expected. I am so glad I found you! Kudos to this company. You have a new customer. Great Job!" and again, pictures E-Mailed back and forth and after 6+ Months of solid work with our PCB manufacture on this new Atari CX24 project, we have finally worked all of the Engineering design problems to the Best Gold CX24 Joystick new Internal board set that meets Bests very very high Atari quality and design standards. We are happy to release Bests latest Atari CX24 Joystick controller Gold lifetime Internal board set upgrade. · All Gold Plated Traces on the Best CX24 PCB 3 board set vs stock Atari CX24 board set with tin plated or bare copper traces that oxidized / corroded. · Stronger Larger / Longer life, state of the art 4 Leg all Gold Plated Dome Contacts (6X), each with a built in tactical feed back feature with an audible click when the dome contact is pressed and released. The stock CX24 smaller three leg dome contacts, would collapse flat, would flip from concave to convex shape on the PCB boards, loose the very little tactical feed back click sound. They would also walk around all over the top surface of the PCB board and no longer make proper contact with the mating small round circuit trace under the dome contact. · The New 2015 Best designed all Gold CX24 upgrade board set (1 all Gold main X / Y and 2 match sets of Gold fire buttons PCB’s) uses many of the same Upgraded / New features of the very popular Lifetime Best Gold CX40 Joystick PCB boards. foreign materials under the dome contact, which again cause the dome contact to not make proper contact the mating PCB trace contact. not have wire color codes etched into the connecting fingers. light green prototype PCB material. a light yellow PCB board material compared to light green prototype PCB material. normal 4 leg dome contact loud audible click sound. WAV or MP3 file. Then quickly click on the other fire button sound file to compare them to each other. Atari CX24 fire button PCBs and the state of early failure (inverted contact, flattened contact, contact that has moved position on the PCB board) on those old dome contacts. 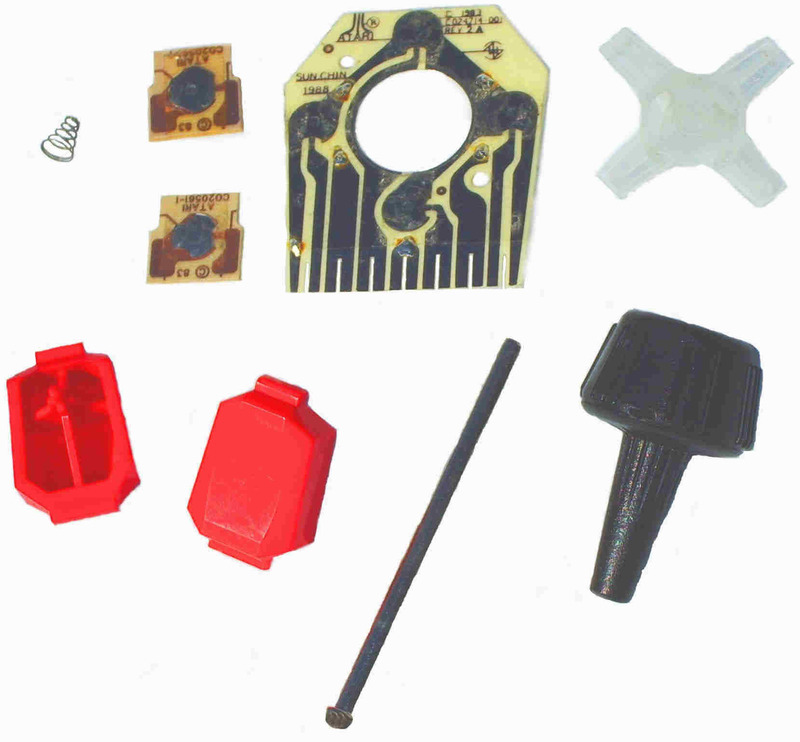 PCB’s punch tooling, we will require Min. sets of the Gold CX24 board sets per sale. normal right angle BD-9 Male Joystick input connector. It will also work on all Atari ST / Mega / MegaSTE / TT / Falcon computers, but requires an internal modification be done inside the Atari CX24 Joystick. Contact us for the details. by side comparison of the upgraded Gold Lifetime CX24 Joystick with the stock CX24 Joystick playing some different Atari games. same time you order your Best CX24 Joystick Gold upgrade kits. of the world, can do with minimum items required. metal shaft with little effort and sometimes you may destroy / damage the mushroom handle because it is bonded itself to the metal shaft years ago. If you have a properly equipped shop or have access to one, you can use a padded vise to try to remove the CX24 handle. If you have a good penetrating oil / fluid, you might soak metal shaft / mushroom handle over night and give is another try a day latter. CX24 handle between the disk drawers, then try to pull the CX24 handle off again. New additional Atari Tech Tip: If you still have problems removing the CX24 handle, again heat up the old Atari CX24 Mushroom handle hot to the touch, now take the heated CX24 handle top round side edge section and rap it on a hard surface and heat it up again and rotate the top of the Mushroom handle a little and rap a new part of the top of the mushroom handle on a hard surface again. We find this will break almost bonded CX24 Mushroom handle free from the center metal shaft to the point where it can now be finally removed. Atari CX24 Joystick Owner supplied Atari Tech Tip: If you are still having problems removing the old CX24 handles off the metal shafts try this Tech tip. Invert the CX24 Joystick upside down and try to find something to hold the complete CX24 Joystick in this upside position for a day or so. Take some of the thin penetrating oil (most of the Major Hardware chains carry this product) between the end of the CX24 Mushroom tapered plastic handle end / hole and the metal shaft. It should now run down between the inside mushroom handle hole and metal shaft. It may take up to a day or more to fully run down the inside the CX24 metal shaft. Your can speed up this process by tapping on the CX24 tapered plastic section of the CX24 black plastic handle in the upside position while slowly rotating the CX24 handle adding more penetrating oil if needed. You can speed up this process even more by switching back and forth between tapping on the CX24 handle and using the Hair dryer to heat it up (while rotating the handle) on the tapered section of the CX4 handle. Adding more penetrating oil if required. CX24 Joystick disassembly process. We will assume you have successfully removed the CX24 Mushroom black handle(s) already. 1. Turn over the CX24 Joystick and remove the two Phillips screws off the back case. cable black strain relief as it goes into the CX24 case half's. 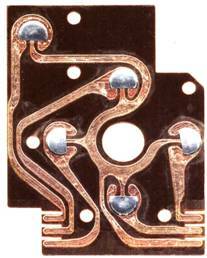 You will see a mating square notch on one side of the CX24 strain body and a "U" shaped opening on the opposite side. When you close up the CX24 case half's, make sure the cable strain relief different notches (half square and half "U") are in the right locations in the top and bottom CX24 cases half's. If they are not, you will have a hard time trying the get the top and bottom CX24 case half's properly closed up after you have done the internal Gold PCB upgrade. Now set the CX24 bottom case down. · The exact direction of the + shaped clear Joystick X / X dome contact actuator’s 4 clear arms are located over each of the CX24 old PCB dome contacts. · Remove the two CX24 orange Fire buttons with the conical shaped fire button springs and set aside. slide into the inside of CX24 Top case in their left and right side holding slots. Next note how the Molex spring metal contacts (on the wires) are slide onto each side of the notched in fire button PCB’s. Next note how the 3 different colored wires (with the Molex spring clips) are installed on the right and left sides of each of the CX24 fire button PCB’s. Also note how the 3 color coded wires are routed to the left and right Fire Button PCB locations (if you mix up the color code wires on the CX24 fire button PCB’s during reassembly, it will change how the few Atari 7800 games that require two independent fire buttons will act. So we suggest you only change out / upgrade each fire button PCB one at a time. of the top screw black internal plastic boss the Philips screw goes into from the outside when you close up your CX24 Joystick case. · On the CX24 large X / Y PCB board, locate the two small round black plastic alignment studs / pins that come thru the top side of the PCB board. They are located about 11 AM and 4 PM positions on the main X / Y PCB board. of the support studs under the X / Y PCB board when you are trying to close up your CX24 Joystick. 5. Remove the CX24 metal shaft with the clear + actuator on it and start the CX24 Upgrade. pressure to slide them in and fully seat them into their CX24 Top case plastic holding slots. Then just reverse the disassembly process when you are done with the CX24 Gold upgrade. Some Atari CX24 tech tips during reassembly process. cable strain relief are in the right locations as you close up the top and bottom CX24 cases. of the 4 arms over located over each of the 4 Gold dome contacts. Basically the actuator plastic piece is not keyed to a single position it must be installed in. plastic threaded stud / boss, as viewed thru the top black case top screw hole. show any white stress lines in the clear plastic when they are abused, they just bend out of it normal / original shape and can only detected with a straight metal edge test. on the bent actuator arm(s) to get the CX24 Joystick to go into the direction you wanted it to go. the normal tactical feed back bounce back feeling in one or more X / Y directions once you have tested your upgraded Gold CX24 Joystick. You can correct this minor problem. Take the CX24 back case off. Push on the top of CX24 black handle up so the clear plastic X / Y actuator arms are lifted off the new Gold X / X PCB board. down) actuator arm will have memory in the plastic and when you heat up to remove the minor white stress lines, the bent down actuator arm will return back to its original slightly bent up position. Reassemble the CX24 and retest it for the tactical feed feeling. The Pro-Stick Joystick is like a standard CX40 Joystick but with a Red Base/Black Top, Red Joystick boot, Left or Right side dual Red Fire buttons on the base (for Left or Right handed People), Molded Plastic Handle Grip with Top Fire button too and Joystick cable comes out of the center bottom of the Pro-Stick! Best Electronics Latest and Hottest 33.33X Upgrade to an Atari 35+ Year old Atari CX40 Joystick Internal Design! production runs of this CX40 Internal part. The basic Idea, was to make the next production run of this Atari CX40 PCB board a little cheaper each time it was made. Joystick) with many different styles of metal Dome contact internal switches and different types of plating on the internal Circuit Traces from Tin, Nickel to Copper. CX40 Joysticks. But unfortunately the Atari CX40 Internal PCB board 1979/1981 basic design was never upgraded by Atari Engineering until Now! "Your company name is truly fitting. I installed a set of your gold contact circuit boards in a pair of CX40 joysticks. They're fantastic! Suppliers. All of them are known to have different Failure rates and type of Failures. · Dome Contacts flipping inside out (failing clear tape cover). · Dome Contact fatigue failure (flatting out). · Dome Contact no longer making proper contact with mating PCB circuit trace. · Dome Contacts Shifting their location under the clear tape cover on the PCB boards (failing clear tape cover). · Failure (holes /openings / tares) of the clear plastic cover tape over the dome contacts allowing the contacts to shift positions. · Cracking / Breaking of the Phenolic base material the CX40 PCBs are made of. · Corrosion on the Copper and Tin Traces under the Dome Contacts. · Foreign Materials under the Dome Contacts (failing clear tape cover). · Moisture under the Dome Contacts (failing clear tape cover). One or more of these problems on an Atari CX40 Joystick Internal PCB board would mean a failure of an Atari CX40 Joystick prematurely. New Tooling) that Best Electronics used on the 5200 Gold CX52 Joystick Upgrade Project, we knew we could produce an Improved / Upgraded Atari CX40 Internal PCB board. Every 5200 owner who Now owns one of these Best Exclusive Lifetime Gold Upgraded Joysticks will tell you, that the Best CX52 Gold Joystick upgrade Cured the 20+ year problems that have always existed with the Old Atari made CX52 Joysticks. As part of our initial research for this Best CX40 PCB upgrade board project, we contacted one of our Oldest Quality Atari parts suppliers we have been using for 15+ years now and had them run some Life cycle Tests on the Old Design (1981) Atari CX40 Internal PCB board. In the Industry it is know as Mean Time Between Failures (MTF) or basically how many cycles a part would run before it failed. We had our Manufacture run a MTF Test on what Best Electronics considered one of the better 1981 designs of Atari PCB boards (pictured above) we have sold over the years. Their Tests showed that this Atari 1981 designed New replacement CX40 PCB board, only ran about 150,000 cycles before it Failed. The original Atari 1981 Engineering Specification on this version Atari CX40 PCB board, called for minimum MTF of 1,000,000 cycles. Close up view of the Atari stock CX40 PCB board dome Contact fire button trace and the Best CX40 Gold platted larger PCB Fire button trace. 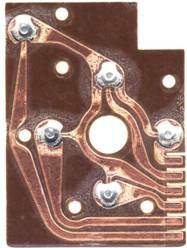 on the old Atari CX40 PCB design) when each contact is pressed down due to increased internal air pressure. increase in real world MTF cycles compared to the above 1981 Atari designed CX40 PCB board that was tested and prematurely failed. The Best Gold 4th Generation / Rev. 4 CX40 PCB board! Gold PCB's World Wide, we have yet to hear of a single Best CX40 Joystick CX40 Gold PCS's that has failed in use. several different styles of 3 Leg Round Dome Contacts with different top dimples sizes, were just some of the different types of Dome contacts used. Many of these Dome contacts had a Tactical Feed back (click sound) when they were activated and some were completely Silent when you used the Atari CX40 Fire button and Joystick handle functions. Bests New CX40 Gold rebuild kits with Best's CX40 Gold Lifetime PCB board and after 30 months work Bests New Upgraded / Enhanced CX40 Super handle. "These controllers are amazing with the new parts." 3rd Gen. Lifetime PCB boards. "Wow this is incredible ! I just received the parcel. It took less than 5 days for it to arrive in France. This is lightning fast :) And It took me only 10 minutes to replace the old PCB with the new 3rd Gen Gold PCB inside my CX40 Joystick. The wiring color labels made the upgrade very easy. The result is beyond what I expected. My CX40 joystick is better than new and very precise. The tactical feedback is great and the click sound so pleasing ! Thanks !" CX40 gold PCBs and these are extremely good. I feel like I don’t have to treat the joystick with overly great care, especially playing games like Decathlon and Track&Field. I would highly recommend that everyone upgrade at least one of their joysticks to the gold PCBs. I installed one and will install the other one asap. Excellent product!" Joysticks with Best's lifetime Gold CX40 PCB boards "Thank you so much for the Atari! It arrived a few weeks ago in perfect condition and I have been playing it since. I especially like the upgraded joysticks - they work great!" Ryan A. of FL "The upgraded 2600 controller insert and gold pcbs are great, using them I got my best score in River Raid in over 20 years!" Mike S. of OR "Playing games with the upgraded CX40’s is a revelation and the CX78 pad was an appreciated recommendation… I’ll be after another one in the future. There will be no more blaming the controllers in my household, that’s for sure." area on the mating Gold plated PCB trace under the dome contact. The New State of the Art Best Upgraded CX40 Gold PCB with Gold Plated 4 leg dome contacts, have a Good Tactical feed back feel (Louder click compared to the original Atari CX40 joystick PCBs) on the Atari CX40 Fire button and Very light Tactical feed back on the Atari CX40 handle action. The Original 1981 Atari Engineering Specification called for a Maximum (Dome / Trace) contact resistance of 150 Ohms or less on the CX40 PCB boards. 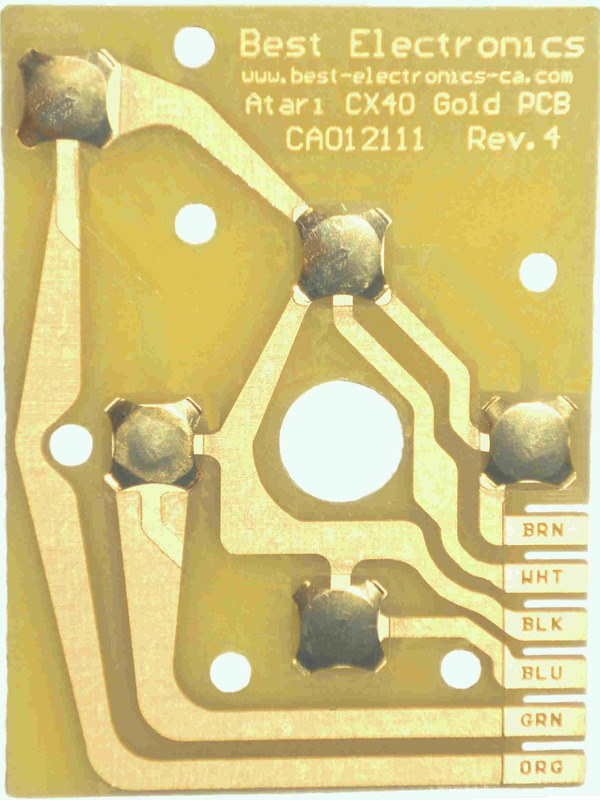 The New Best Gold CX40 PCB boards have contact resistance less than 2 Ohms! Joe C. of AZ "The upgraded Cx-40 PCBs are excellent. I’ll begin reordering these in larger quantities"
you will never have to look up the CX40 Color Code wiring sequence and never make a mistake and wire up a rebuilt Atari CX40 Joystick wrong. the rebuilt CX40 Gold Joysticks work better than new now, but 3 of them have fire button problems. I have checked the CX40 cable and not found any problems with it. Help!!! 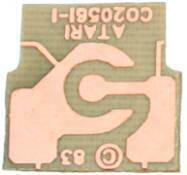 Gold CX40 PCB fire button trace. fire button center stud above the bottom edge (just a couple thousands of an inch) of the metal piece you put across the CX40 fire button diameter, it is a good CX40 fire button. rebuilding. The easy way to fix this CX40 bottom case problem is again put / tape a small spacer on the bottom side of the Best Gold CX40 PCB under fire button dome contact section to raise it up a couple of thousands of an inch. Also See Atari CX40 Joysticks upgraded with the New Best CX40 Gold Internal Upgrade! Steve R. of TX Steve has placed over 4 Atari orders with Best in 2018 so far. This time he was one of the very 1st Best Customers to order two of the New CX40 Joysticks, upgraded with Bests 2005 Lifetime Gold CX40 PCB boards, upgraded with Bests 2016 New Lifetime CX40 Silicon boot and upgraded with the just released (after 30 months work) Best CX40 upgrade Super Handles. "Received the joysticks and they are great!" Howard Z. of Canada Howard ordered 2 of Best CX40 Joysticks upgraded with Best CX40 Gold lifetime PCB board. "Your joysticks arrived today and they are AMAZING. People can talking about the leaf switch sticks or micro-switched sticks, but yours are truly the best. The short throw, and the responsiveness are unparalleled. It's like everything you loved about the old CX-40, but without the weaknesses of the old CX-40. Thank you so much! I am sure I will be ordering more products from you." PCB and one non Atari made Pro-Stick Joystick. Upon placing his 2nd Atari order with Best. "I am very pleased with my New Atari CX40 Upgraded Gold Joystick ! I would like to order another one." new Atari CX40 Joysticks that had been upgraded with Best CX40 Lifetime Gold PCB boards. "I received the joysticks today. I can honestly say I am blown away by the quality of these sticks! Does the world know you sell these? Anyone who has any interest in 2600 gaming would be thrilled to know these are available! Your CX40 Joystick upgraded with best lifetime gold PCB board are nothing short of spectacular !!! You've reinvigorated my gaming experience! My advise to anyone contemplating buying something from eBay... Don't bother... Go with BEST!!!!" Add Best Electronics All Atari Web site to your Internet Explorer Favorites folder. Best Electronics in the Atari business since February 1, 1984.